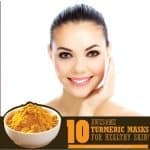 Turmeric is an ancient herb and spice that has long been used for edible and medicinal purposes. It is added in curry and other food items to impart colour, taste, and aroma. It is also widely used to treat several diseases like cold, swelling, pain, arthritis, eye problems, digestive disorders, and even cancer. The list is getting longer every day. 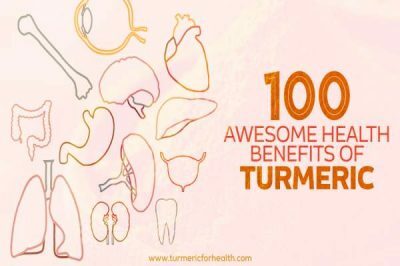 Turmeric has numerous health benefits and is gathering increasing attention for being used as a medicine to treat diseases. 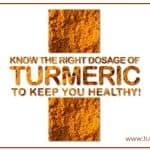 However, adding turmeric to food also helps keep the body healthy and prevent many disorders as such. 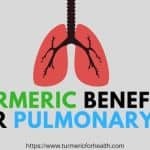 But this article is not about the benefits of turmeric – it is about how when you cook with turmeric it can make your food healthier. 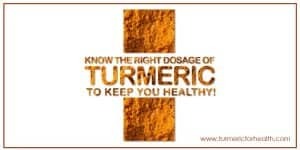 Yes, apart from the benefits which turmeric has, it also helps cooking with turmeric in various ways. It protects your food and helps in making it healthier. It has powerful properties that increase the nutritional value of the food, remove the effects of harmful elements in it and improve the absorption of the good components while digestion. Oil is an important component while cooking food. It is widely used for frying and greasing. However, heating common edible oils like soybean, coconut, groundnut, and other similar oils leads to their oxidation. Oxidation of oils while heating is also known as thermal oxidation which is a major concern these days. Health experts recommend oils that are thermostable which means they do not oxidize during frying and are fit for reuse. Unfortunately, most cooking oils are not thermostable enough and the fats in them oxidize by reacting with oxygen at high temperatures. This, if consumed leads to harmful effects in the body, including a higher risk of cancer and fibrosis. In fact, the increased consumption of fried foods since a few decades is one of the major reasons for the hike in the number of cancer cases across the world. Thus it is important to improve the properties of oils to make the process of cooking healthier. In a research study, where potatoes were dipped in turmeric and then fried in soybean oil, it was found that the oxidation of oil decreased markedly. The antioxidant properties of turmeric helped in preserving the polyunsaturated fatty acid structures while frying the marinated potatoes, thus making the process healthier. 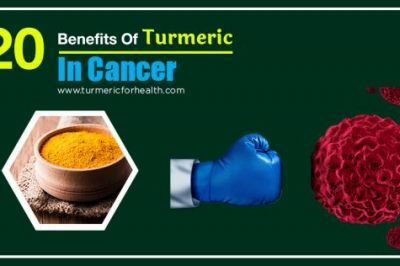 What it means: the antioxidant properties of turmeric helps reduce the oxidation of oils while frying which ultimately reduces the risk of cancer and other diseases from consumption of that oil or food cooked in that oil . Meat, just like oils contain fats and lipids, which are prone to oxidation while heating. 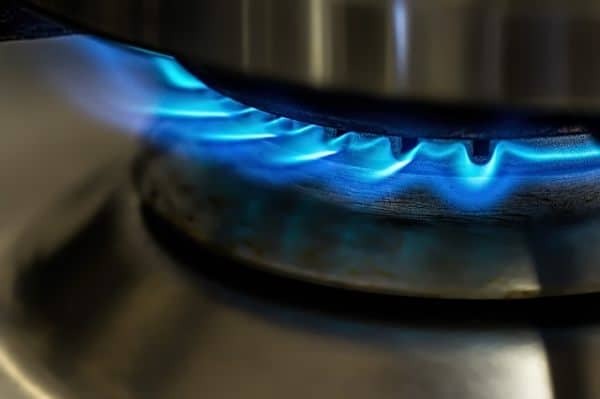 Items such as meat, fish, and poultry, etc which are high in fat content become really harmful for consumption after heating because the lipid content in those undergoes peroxidation. Peroxidation is a type of oxidation process and the peroxides created in this process are highly reactive. If consumed, these peroxide radicals react with the cellular components in the body and cause cancers along with other serious health issues. In a number of researches, done on fatty foods like meat and chicken, etc, marinating and cooking them with turmeric actually reduces the amount of lipid peroxidation and reduces the risk factors of occurrences of diseases in their consumption. In fact, it has been shown that this property of turmeric increases with the addition of black pepper to the preparation. Earlier studies have shown that eating black pepper along with turmeric increases the absorption of the active components of turmeric inside the body. 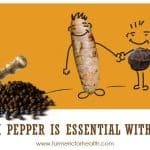 This research adds to the above fact by concluding that black pepper indeed increases or fortifies the effects of turmeric, not just inside the body but also outside, in food preparation. The active constituent of pepper, piperine, helps make the active constituents of turmeric, curcuminoids, bioavailable, thus augmenting their activity. 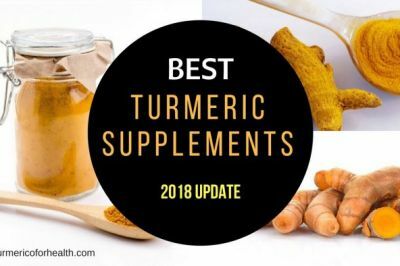 What it means: turmeric, along with other activity enhancing compounds such as black pepper decrease the lipid peroxidation in fatty foods such as meat. This ultimately helps reduce the amount of harmful reactive lipids that go inside the body on consumption of such fatty foods and prevent diseases like cancer. Our food contains many essential vitamins, elements and other nutrients that are not easily bioavailable to our body. This means that most of those nutrients are not absorbed by the body and just passed out through the alimentary canal via excretion. Thus, the goodness of the food that we eat does not reach us in the amounts that we actually eat the food. Some of the examples of such nutrients that don’t reach us easily are iron, beta-carotene, essential vitamins and many more. 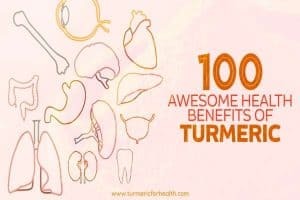 Exemplary research on an essential compound beta carotene (vitamin A) showed that turmeric enhanced its availability in the food. Beta carotene is an important nutrient that is found in vegetables like carrots, pumpkins and sweet potatoes etc. It is important for healthy eyes and other organs and helps in preventing cancer, macular degeneration, and some blood-related disorders. It is extremely insoluble in water which is why it is not easily absorbed in the body with food. Beta carotene is also quickly lost from the vegetables during heating. 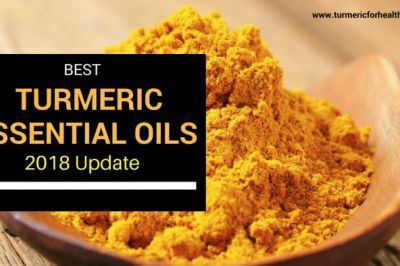 The above-mentioned study showed that adding antioxidant spices like turmeric to food while cooking not only helped reduce the loss of beta carotene while heating but also increased its accessibility in the gut for better absorption. It similarly helps make other fat soluble (water-insoluble) or lesser accessible nutrients such as iron and vitamins, more available. In other words, it helps the nutritional worth of the food come up. 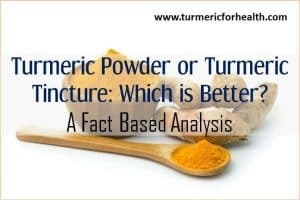 Another similar study showed that turmeric might as well be used to preserve the vegetables with essential nutrients. Simple preservation of vegetables like spinach and amaranths etc. by refrigeration, drying or blanching preserves them but destroys their nutritional content. 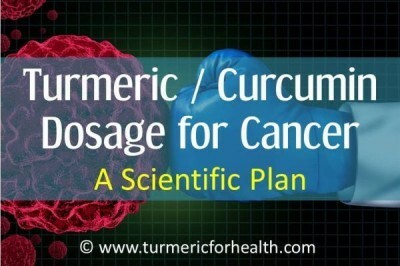 Turmeric can help preserve that nutritional content along with the original composure of the food during storage. 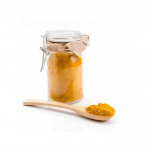 What it means: turmeric helps in increasing the bioaccessibility of nutrients that are present in the food. 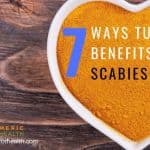 It also helps in reducing the loss of these nutrients from the food while cooking and increases their absorption in the gut. You can use it as a spice. That is one of the most common ways it has been used across the world. Another great way is to use golden paste instead of just powder. This way one gets benefits of black pepper too. 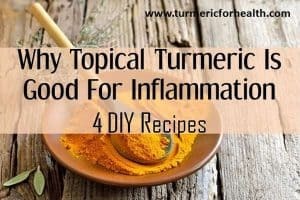 Make sure you do not take too much of turmeric for too long. Taking 1-1.5 tsp powder per day is safe and can be continued for a lifetime. 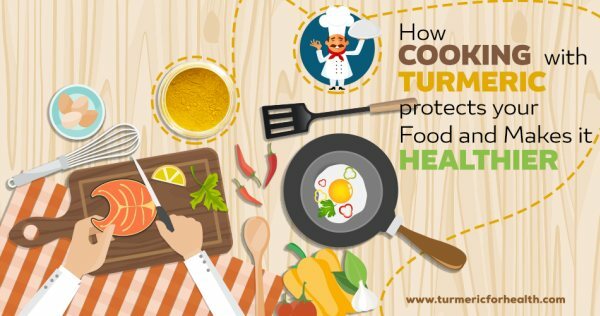 Turmeric, the golden spice, is not just used as flavoring or coloring agent in the food, or as a medicinal supplement for disorders; it actually helps the food increase its nutritional value while cooking. Adding a little amount of turmeric in every dish helps, through its antioxidant activities, to reduce oxidation of fats in foods, increase the availability of nutrients and prevents the loss of these nutrients while heating. It is thus recommended for addition in food while cooking for a healthier meal and a healthier life. 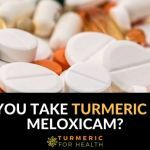 Really needs to know how often should take turmeric ? Heard that taking it everyday basis can cause pimples or should say little harmful for the body. Naila, Asians consume turmeric in diet everyday. No side effects are reported. In fact there is a reduction in incidence of certain diseases in this population. Also we haven’t heard of any report of turmeric causing pimples. 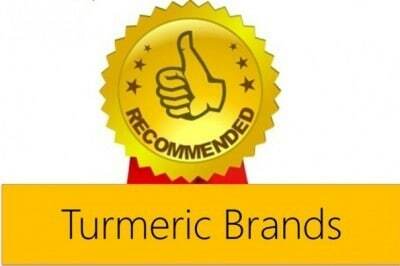 Turmeric in diet and when taken in moderation is absolutely safe. Here in Costa Rica the traditional way of cooking rice is with onions, sweet peppers, salt, water (of course) and oil. I have been adding tumeric (so pretty with the red pepper) and put what is not used in the fridge at night. I have noticed that the rice has been keeping for a longer period of time….up to 4 or 5 days…..Maybe it’s the tumeric? 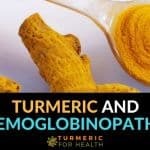 Just starting with turmeric and nice to to know this info .. will include it wherever i can form now! thank you! 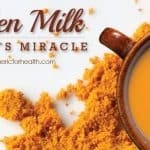 Can I take turmeric one tspoon per day to delute in cold milk for arthiritis ? I take it in cold milk daily. Is it right ? Hi, the quantity is right. But you need to add fats and black pepper somehow in your diet to get best results. Either you can take freshly grounded peppercorns (black pepper) before or with milk or instead of just powder add golden paste in milk. 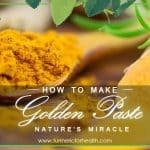 recipe here – https://www.turmericforhealth.com/turmeric-recipes/how-to-make-turmeric-paste-or-golden-paste Hope this helps! Which way does tumeric helps if someone has eye problem, or how to use tumeric for eye problem! I am really keen to know. Hi ragni, which eye problem you are talking about here please?